Through the pages of Model Engineers' Workshop magazine, author Harold Hall, has established a reputation for introducing the tyro model engineer to a wide range of machine tool operations. In this book he introduces the milling machine. 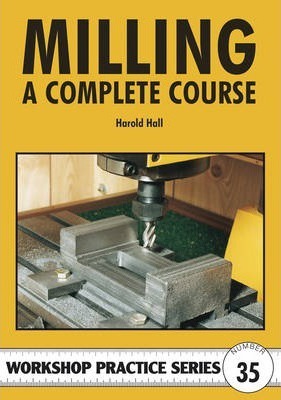 This book assumes no previous experience of using the milling machine and through the medium of four minor and four major projects will lead prospective users of the milling machine through all of the techniques involved. Whilst the detailed descriptions in the book are aimed primarily at those wishing to extend their knowledge of milling, the projects will be of use to the experienced operator wishing to add to their workshop equipment. All of the projects are extensively illustrated and include full workshop drawings. Once followed through, the reader will have amassed a wealth of practical skills and added a number of useful items to his range of workshop equipment.